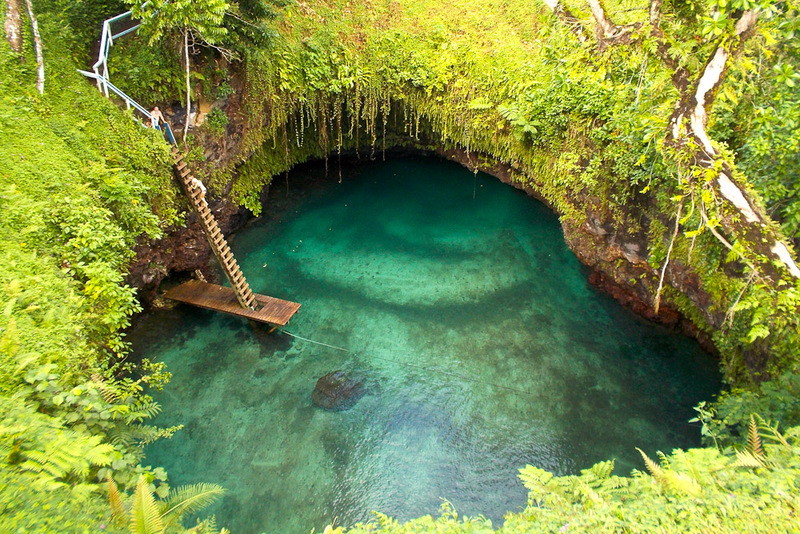 Samoa’s To Sua Ocean Trench, ranked #96 in our countdown of '100 Ultimate Travel Experiences of a Lifetime'. Ranked #96 in our countdown of ‘100 Ultimate Travel Experiences of a Lifetime’. 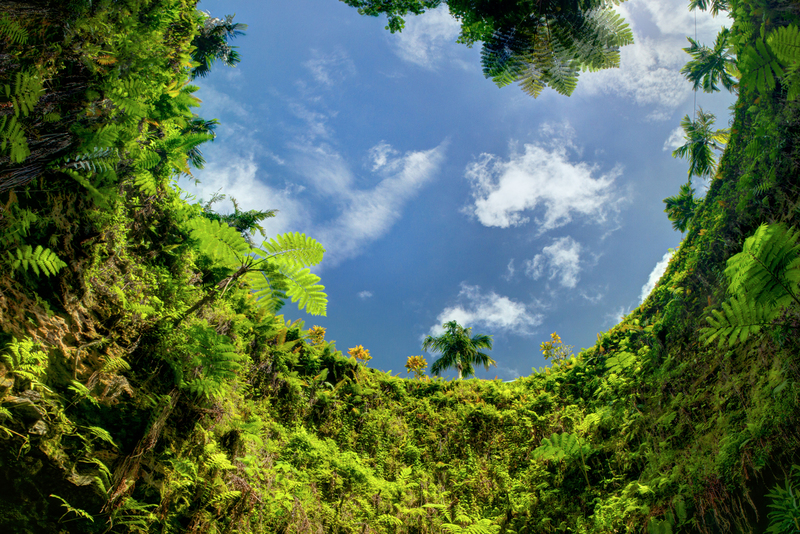 To Sua’ means ‘giant hole’ but that’s not quite how we would describe this place. We think ‘lagi’ is more appropriate – it means ‘heaven’. Yep, we could see ourselves cooling off in this heavenly aquamarine waterhole and admiring the lush green surroundings as we serenely float about. 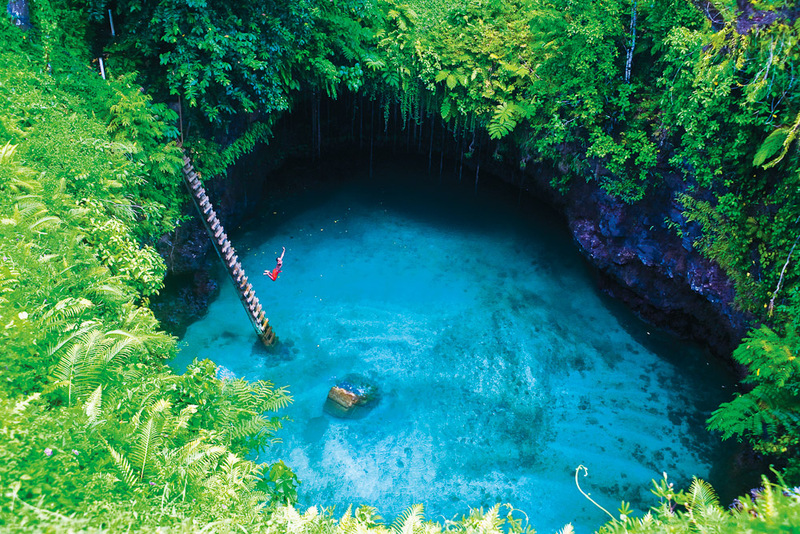 The pool – which is located near Lotofaga village on the south coast of Upolu island – is fed through a natural tunnel that leads out to the ocean, which washes in refreshingly cool water. 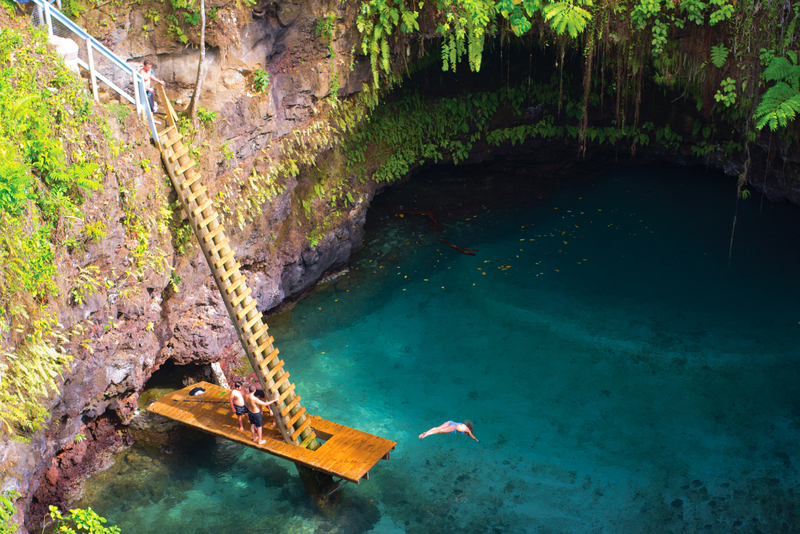 To get here, it’s a bit of an adventure – you need to follow some small, inconspicuous signs and climb down the 20-odd-metre ladder to a platform from which to dive, pin drop or cannonball – whatever takes your fancy. And there’s a rope from which to swing too. Weee! 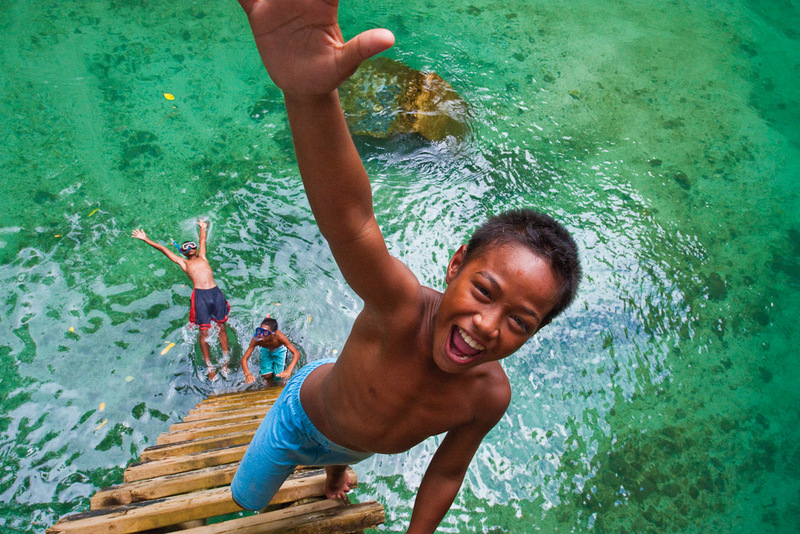 Visit blog.expedia.com.au/bucket-list to plan your Samoan escape.